Who will make the final decision of where the new settlement will be? Harrogate Borough Council submitted the draft Local Plan to the Ministry for Housing, Communities and Local Government last year. A Planning Inspector, appointed by the Secretary of State, held the Examination in Public during February 2019. During the examination stage the public and interested parties made representations to the Planning Inspector. If the Planning Inspector’s report does not lead to any major changes to the draft Local Plan then the Local Plan could be finally agreed and adopted in 2019. Why can’t these new homes be built somewhere else? The Borough of Harrogate is a rural area which has many limitations on new development. It contains both Green Belt and the Nidderdale Area of Outstanding Natural Beauty. Parts of the Borough are relatively remote and far from centres of employment and major roads, with limited public transport provision and local services. The number of new homes that the Council is planning for can only realistically be met by including a new settlement alongside the Council’s plans for new developments in many of the existing villages and towns in the Borough. Trying to spread all of the required new homes across the existing villages and towns would create new unmanageable scattered demands for school places, health services and transport improvements, whereas focusing a large proportion of the new homes in one place provides the scale necessary to sustain a new school, health and community facilities. During the Examination in Public the Planning Inspector appeared to appreciate the opportunity that the new settlement offered to avoid inappropriate development in other parts of the Borough. The start of development is dependent on when the Council’s Local Plan is finally agreed and adopted, as well as the time required to prepare detailed designs for the first phases of the development and the infrastructure improvements, obtain the necessary planning and technical approvals and prepare the site for development. Assuming that the final decision regarding the location and boundary of the new settlement is made following the DPD process rather than through a planning appeal, and based on the forecast number of housing completions in the proposed Local Plan and our previous experience of large projects, construction of the infrastructure for the new settlement would start in 2022 and the first homes would be completed in late 2024 – note that these dates are just indicative as they are dependent on the progress of the Local Plan and DPD process. The owners of Flaxby have submitted a planning application. Why don’t we just put the new settlement at Flaxby? This is a question for Harrogate Borough Council. However, our opinion is that large scale development needs to be planned in a strategic and coherent manner, which is precisely what Harrogate Borough Council have been doing through the Local Plan and DPD processes. We believe that Flaxby’s owners are seeking to circumvent this process. Notwithstanding this, we firmly believe that Maltkiln Village is a far superior site for the new settlement and is the only location in the Borough that can provide substantial long term capacity for growth. How would Maltkiln Village avoid overloading local services? Maltkiln Village will be designed and implemented to ensure that new local services are opened in the first phases of the development. These will benefit not just the new residents but also those living in the surrounding area, actually reducing the burden on existing local services in the surrounding area. How would the roads and railway be improved to cope with the increased demand created by Maltkiln Village? The proposals for Maltkiln Village include major upgrades to the road network and railway facilities to increase their capacity and provide tangible improvements to both highway and rail safety – the major changes will include replacement of the Whixley crossroads with a new roundabout on the A59 and replacement of the level crossing at Cattal station with new road and pedestrian bridges over the railway. North Yorkshire County Council, Highways England and Network Rail already have plans to improve junction 47 of the A1(M) and the railway line between Harrogate and York. Our proposals are entirely compatible with their plans and the work on funding and implementation of those improvements. We are working with all of these bodies to agree the extent and timing of infrastructure improvements, including new bus services which would link Maltkiln to Harrogate, York, Boroughbridge and Wetherby. Would there be new homes for local people? We have committed to ensuring that Maltkiln Village will comply with the Council’s affordable housing policy, which means that new family homes, starter homes and homes for older people would be provided for both rent and shared ownership.  Our aim is to create a real community at Maltkiln Village and we are in discussions with a number of carefully selected Yorkshire based housebuilders, housing associations and care providers who are willing and able to provide a wide variety of homes that meet the needs of people of all ages. There will also be serviced self-build plots which can be bought by people who either wish to build their own homes or have them built by small contractors to their personal design and specifications. Where can I find more information about the Maltkiln Village site?